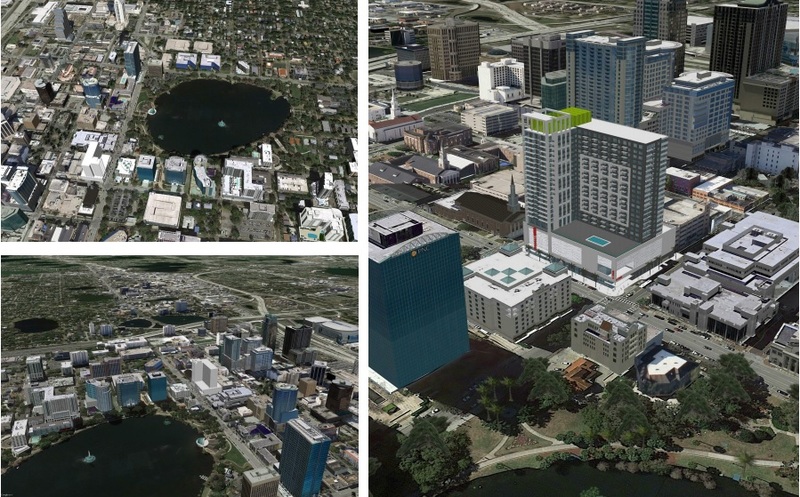 left: Proposed 26-story Modera Central; right: Proposed 28-story Lake Eola high-rise building. 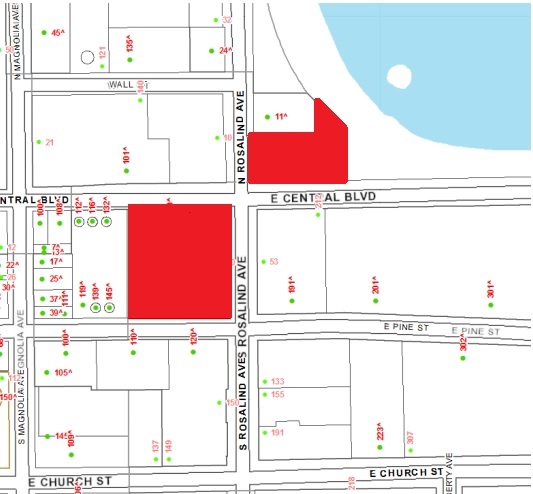 UPDATE: The Orlando Municipal Planning Board approved both high-rise proposals on July 21, 2015 despite opposition from local residents at the hearing. There does not seem to be a high-rise development the City of Orlando will not approve right now, as mixed-use developments continue to be on the rise in downtown. 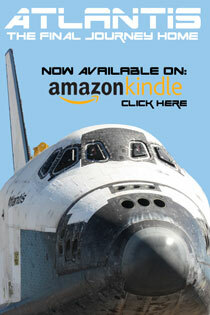 But is there demand, and necessary infrastructure, to sustain the pending proposed projects? And what will residents think of the planned changes, as many are unaware of pending proposals? At just one intersection downtown, two newly proposed developments aim to build more than 600 housing units and more than 50,000 square feet of commercial space at the corner of Central Boulevard and Rosalind Avenue. The area near Lake Eola and the library looks like it could be in for some big change as the city attempts to grow downtown. One of these proposals is already drawing some concern and public opposition. The South Eola intersection will not be recognizable if the two different proposals gain approval from the Orlando Municipal Planning Board after a public hearing on July 21, 2015. The Municipal Planning Board meets at 8:30am in the City Council Chambers at City Hall. The proposal for 215 E Central Boulevard calls for a mixed-use development composed of 215 multi-family units and around 25,000 square feet of commercial space. The new Lake Eola property would rise 28-stories and change the face and feel of downtown’s park. The high-rise wants to include a 467 space parking garage. 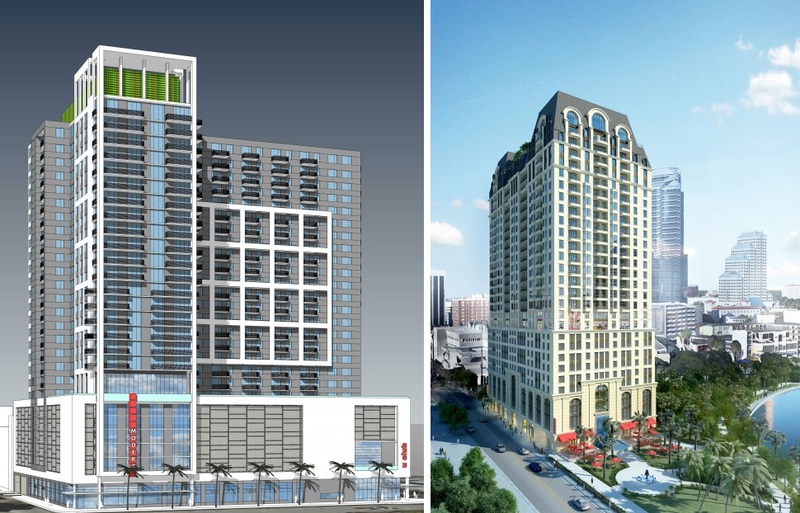 Two new high-rise developments are planned for this intersection in downtown Orlando. One will tower 28-stories over Lake Eola, while the second will reach 26-stories across from the library. Just yesterday, WFTV Channel 9 News heard negative reactions from local residents about the plans to alter Lake Eola with another high-rise building. “I think that would be sad. I walk with my two kids all the time and I don’t think it will look nice here down by the lake. I would not like to see that,” Orlando resident Jennifer Jacoby told WFTV. Members of the Rosalind Club, a potential neighbor to the proposed high-rise, raised concerns about the parking garage planned for Rosalind Avenue and stated it will be dangerous because of the amount of traffic on the street already. 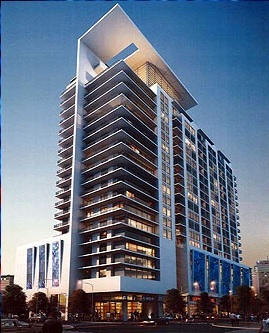 Modera Central, planned for 150 E Central Boulevard which is catty-corner to the proposed Eola high-rise, has submitted an application describing the project as a mixed-use development composed of 394 multi-family units and around 26,500 square feet of commercial space. The building will top off at 26-stories. The Modera project will include the demolition of the existing University Club building and 91 parking spaces. Almost 20000 square feet of space will be dedicated for the University Club on portions of the first and second floor and the building will include a six floor parking garage. Both of these newly proposed projects are also requesting a “density bonus” from the City of Orlando, according to current paperwork submitted. Of course, these are just a few of the many proposed high-rise developments on the rise in downtown Orlando. Another 22-story building is proposed for South Eola around Church Street and Lake Avenue. Developers would like at least 235 residential units and more than 20,000 square feet of commercial space in that high-rise. The current site is a parking lot for the Lutheran Towers retirement community in the area. A Miami-based developer filed plans for a 31-story building next to I-4 at Garland Avenue and Washington Street. This project calls for 450 residential apartments and 15,000 square feet of retail. Developers plan for a multi-story parking garage as well. Tremont Realty Capital recently submitted new plans for redevelopment at Garland Avenue and South Street next to I-4. The new plans now call for a 25-story high-rise featuring a parking garage with 586 spaces, 7 floors of office space, 8 floors of hotel space and almost 10,000 square feet of retail area. The new plans are very different from the original plans submitted by Tremont Realty, which called for a 13-story, 205 room hotel with 461 parking spots. Recently, residents also learned the future development in front of the Dr. Phillips Performing Arts Center when the CNL III building was announced. The proposed 10-story office building will take the place of the Round Building rubble that has marred the entrance of the new Arts Center. Local officials, including Mayor Buddy Dyer, are also betting big on new developments to build the stalled “Creative Village” project. The absurd plans for Creative Village call for 1,500 new luxury residential housing units and 1 million more square feet of office space, if it is ever built as it is planned. It’s clear local officials want the skyline to grow, but questions remain about the infrastructure and resident reaction to all the proposed developments. 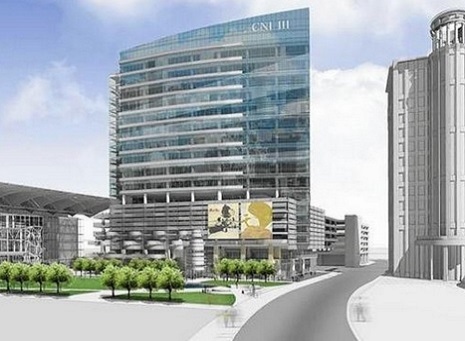 These are just a few of the proposals moving right now in a changing downtown Orlando. 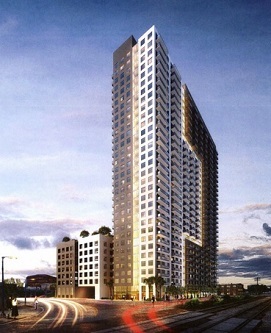 Renderings of proposed Modera Central high-rise development. 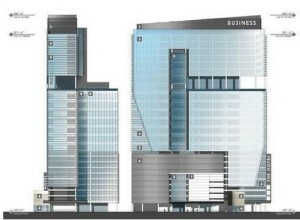 Proposed 31-story Orlando Central development. Proposed 22-story South Eola development. Proposed CNL III development outside of Performing Arts Center. New proposed Tremont Realty Capital development near Church Street Station. One Response to "Mixed-Use Development On The Rise in Downtown Orlando"
I love the view of the CNL Building which completely ignores tha thre will be another high rise on the grass in the foreground, completely blocking this view. All drivers on Orange will see is a little slice of the building on the right, which is, itself boring beyond telling and too tall.